Sometimes I just fall for the wrong argument. A friend of mine was saying that the only time he would consider buying an electric car is when he could charge it up in the same amount of time it takes to fill a legacy car gas tank. Sure, I just fell right into his logic by trying to talk about improvements in batteries and high-power Level 3 chargers. But in stepping away from the heat of that discussion; OK, argument, I see the wisdom of staying away from non sequitur comparisons. In this case the “time to fill up” comparison is really an expression of hope that electric cars will not become the dominate road machines of the future. The speaker of this conspiracy believes that it is an unattainable goal, therefore they will never be forced to admit that EVs are better. A big guy driving a big pickup truck pulled up beside me a few weeks ago and as he rolled down the passenger side window, he asked with a kind of knowing look, “How long you have to wait here to charge?” I told him, “I’m going to lunch and it’ll be ready to go when I get back.” I didn’t stay to engage further. See, I can learn from my experiences. In conclusion, the 30-40 minutes I sometimes have to use “exploring the neighborhood” while charging away from home are more than offset by the overwhelming number of “one minute” plug ins I perform at home. 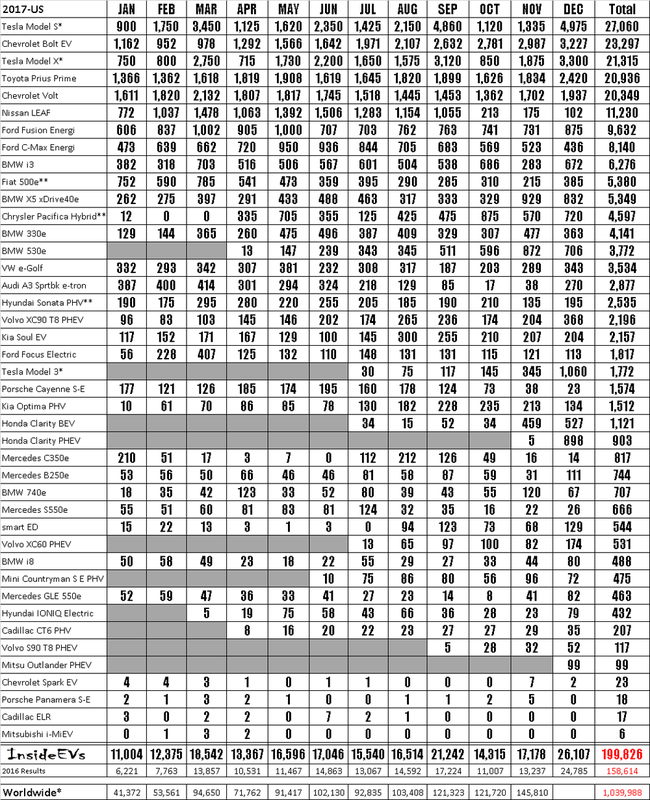 Washington State released information on EV registrations recently; for the first time ever, there are 41,091 electric cars registered. Also worth noting 2018 is the first year where every county in the state has an EV registered. We usually talk about electric happenings that are local; but this story was just too encouraging. You will be enchanted as you read this unfolding story of inventiveness, determination and reward. Plug-In NCW has been saying that there are unintended advantages to EV travel, this story exposes some of them. Why it’s more economical to drive an EV than a fossil fuel vehicle. EV charging and how to find public EV charging stations. Buying or leasing an EV. After the classroom discussion there were EVs from Chevrolet, Nissan, Smart and Tesla and owners available to continue the learning experience. This class was video recorded by NCWLIFE and can be viewed on their website at: https://www.ncwlife.com/pybus-university-plug-in-ncw/. You can also view it below. When I say, "departs" I mean in a really big way. 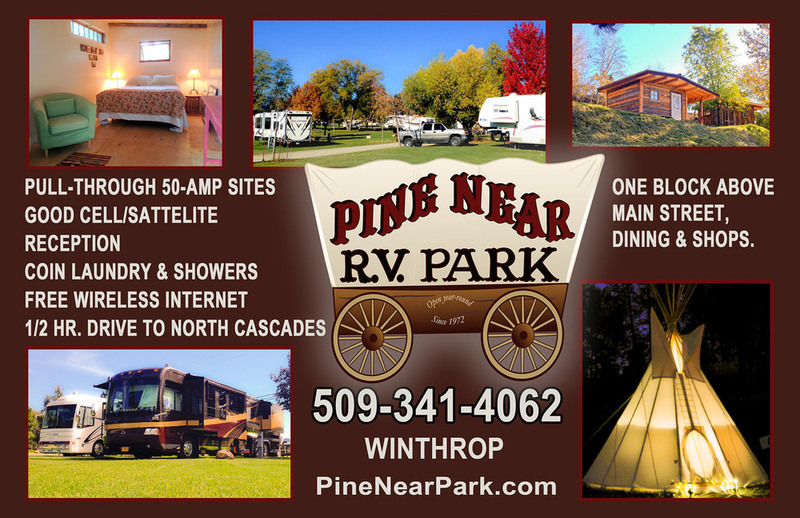 Nick Chambers was a founding member of what is today Plug-In North Central Washington. His insight and knowledge of the automotive industry was a primary factor in this organization's success in helping foster EV adoption in our part of Washington State. For several years Nick's employer has asked that he and his family move to Germany to work at Home Office. This year the offer was too good to pass up. We will miss his uncommonly good sense and slightly rye humor. To recognize his contributions Nick (center) was presented with a Lithium vehicle starter system by Jack Anderson (left) and Randy and Anne Brooks (left). We expect him to assist stranded German ICE drivers and have the opportunity to demonstrate the value of EVs. In truth, we may have been attempting to "bribe" Nick to return to Plug-In NCW upon his return. 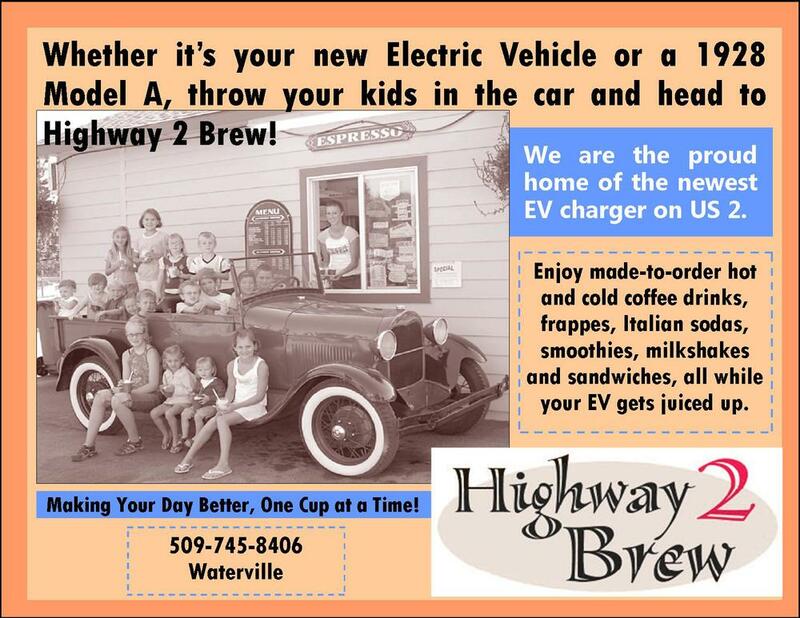 Once again Plug-In NCW had a great exhibit of EVs at both the Chelan and Leavenworth Earth Day Fairs. - Tesla Model 3! Yes, if you weren’t there you missed seeing this beautiful new Tesla. - Tesla Model X, which did the Christmas “Easter Egg” dance several times for all to enjoy. - Link Transit full sized BYD electric bus, with 200 kW inductive charging! Although the weather was windy and cool at the 9 a.m. opening, the wind died about 10 and we had great weather and full crowds until about 3 p.m. when the wind picked up again. Thanks for celebrating Mother Earth with Plug-In NCW, your community and the planet. Already looking forward to next year. The Department of Revenue has notified the Washington State Auto Dealers Association that the alternative fuel vehicle sales tax exemption will end on May 31. To receive this tax exemption, your vehicle must be delivered on or before May 31, 2018. The list of qualifying vehicles is available athttp://www.dol.wa.gov/vehicleregistration/altfuelexemptions.html. Only applies to new vehicles. Only applies to the first $32,000 of the selling price or total lease payments if the customer leased the vehicle prior to the exemption’s expiration. Expires on the last day of the calendar month after the Department of Licensing determines that 7,500 vehicles have qualified for the exemption. Uses at least one method of propulsion that is capable of being re-energized by an external source of electricity and is capable of traveling at least thirty miles using only battery power. If you are receiving your vehicle after May 31, 2018, you will be required to pay all applicable sales taxes. When I was asked to write up a short article for Plug-In NCW, I felt grateful to have the opportunity to share my story. For anyone who has been thinking of buying an electric vehicle (EV) and has questions, that is a good thing. After contemplating and evaluating this endeavor for six months, I am now leasing a new 2018 Smart Fortwo EV and couldn’t be happier! I hope by sharing this story, it will help you make the leap as well and more importantly choose the option that fits you. First, I want to share my typical driving situation. I own a 2007 Honda Ridgeline with 125,000 miles on it. It is a great SUV! I drive it to and from work in the city of Wenatchee about 10-20 miles per day. 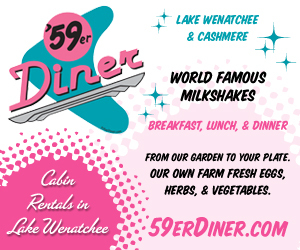 On weekends, I often take it on a day trip up the Icicle Valley, to Chelan, or around Wenatchee to take advantage of our beautiful outdoor wonderland. About six times a year, I drive about 600 miles round trip to visit friends on the Washington coast. Finally, once every other year, I take a week or two road trip vacation somewhere between 1,000 to 2,000 miles. All total, the Honda has been racking up 15,000 miles per year on average. At this rate, it won’t be long before it will be time to replace the Honda at a price pushing $40,000 with sales tax. Ouch. What is worse, is at least 10,000 miles per year is in town driving where gas mileage runs around 13 mpg. The in-town driving is tough on the Honda and its tires, and is a bit clumsy in the city. This is the primary motivation for buying an in-town car. I used to own a Geo Tracker and it was perfect for bouncing around the city and thus I admit a small car is really all that is needed to carry myself and groceries. Ridgeline. The second option, a used Nissan Leaf, is very affordable at roughly $6,000 to $8,000. After nearly purchasing a used Leaf, I decided to investigate the lease of a new EV Smart car which required going to the Mercedes dealer in Portland, OR. There is so much demand for these little cars, that they sold three of them while I was test driving one. I see why! With the $7,500 tax credit that Mercedes applies to the lease, I walked out of the show room with a 36 month, 30,000 mile lease for only $143 per month. This is pretty hard to beat! Now, the Honda gets parked except for road trips and in the mountains where it excels. I also get to keep $8,000 in the bank and end up with a new car instead of a used Leaf. If you can tell that I’m happy with the choice, you are right! So far, everyone asks… “How is the performance of the Smart car?” Here are my two cents. First you need to drive one to fully understand. I think you will be shocked at how well they drive for such a short wheel base (even in the snow). It is not a luxury car, it is an in-town car that can park anywhere, turns on a dime, and is simply fun. It is spunky with the torque of the electric motor and has enough creature features to make it very comfortable. The first week of leasing the car the temperatures in Wenatchee were below 30 degrees and bottomed out in the teens. I will tell you that the EPA rated range of 58 miles was cut to about 40 miles with the heater going full blast. So, the first week, I chose to charge it at a level 2 charger twice for about three hours each time. Now that the weather has warmed up to the 30s and 40’s, the range is now 70 to 80 miles in town. Since there is not an 110v outlet at my apartment, I am charging it once a week and once on the weekend at one of the many L2 chargers located in town. Check out the PlugShare app and you will find all the chargers. It is a piece of cake. Planned charging is easy to do as part of your regular activities. For example, it is easy to charge while taking a walk at the park or at Saddlerock where there is an L2 charger, or at noon when having lunch. The Smart car has an impressively fast L2 charging system. It is not a hassle at all. In fact, it is even a little easier than realizing unexpectedly… oh I need to go get gas. At the end of the day, the life of the Ridgeline is prolonged, I have a new run around town car, save a lot of gas, and enjoy sharing with our community the opportunities to contribute to the advancement of technology, conservation of energy, and the betterment of our city. - Steve King lives in Wenatchee and contributed this article at the request of the Plug-In NCW committee board. King is the Community Development Director for the City of Wenatchee. 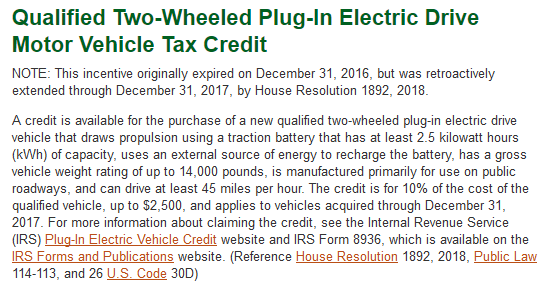 Congress extend EV-related tax credits for charging stations, and electric motorcycles that had expired on December 31, 2016. The new date is December 31, 2017. So, in other words, if you made a qualifying purchase in 2017 you can claim it . The tax credit for charging stations (EVSE) is 30% (up to $1,000), while for electric motorcycles its 10% (up to $2,500). Note that the extension is only retroactive. For right now it does not include the year 2018. Plug-In NCW has highlighted Pacific Power Batteries previously but their joining the E-Waste program means that they now handle more than just batteries. You may want to plan your E-Waste drop offs for Wednesdays because they offer free watch battery replacement Wednesday of every week. They now recycle televisions, computer monitors, towers, laptops, and cellphones. They also recycle anything battery-related: alkaline batteries, NiCad batteries, lithium batteries, and automotive batteries. Everything that is rechargeable (lithium) is free to recycle. Alkaline batteries are charged $1.10 per pound. In regards to computer parts, towers, monitors and chords are recycled. Keyboards and printers are not recycled. If you have a question call before you make the trip. Our current level of “autonomous” (self driving) cars, the future of fully autonomous cars and their impact on the economics and environment of Washington state was the focus of the presentation, with a panel discussion afterward. Plug-In NCW Charger Network Coordinator volunteer Randy Brooks participated in the panel discussion. To compliment the presentation, Plug-In NCW agreed to have some AutoPilot equipped Tesla vehicles at the CTC before the presentation for attendees to get a demonstration ride of “semi-autonomous” vehicle operation. That turned out to be more challenging than we thought! After several weeks of unsuccessfully getting any autopilot-equipped vehicles to attend, the day before we finally got a commitment for one vehicle! Then, through the extraordinary efforts of Jim White at Chelan PUD, another vehicle from west of the mountains agreed to be there. Although the demo rides were not scheduled to begin until 5 p.m., people started showing up at 4:30. Fortunately one vehicle was already there, so demo rides began. By 5 o'clock we had two vehicles going and a full sign up sheet! Then, out of the blue, two brand new Tesla Model Xs arrived! The owners, from the Wenatchee area, had heard about the event and showed up to see what was going on. They readily agreed to give demo rides! It was a good thing, because by 6:30, when we closed demo rides to attend the presentation, 77 people had been given rides! Wow! Folks from Cascade Auto also brought a brand new Chevy Bolt for people to see. About 90 people attended the presentation and panel discussion. Interest was high and questions and discussion continued until 8:30 pm, when the PUD event coordinator had to end the EVent! 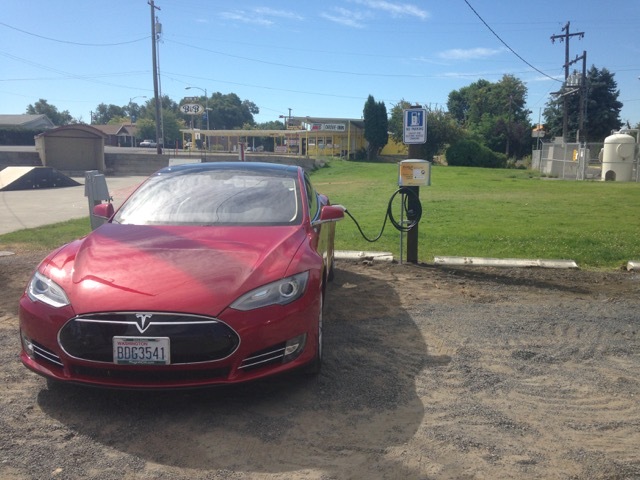 The Soap Lake EV charger is complete, verified, and posted on PlugShare! The enthusiastic support of the City of Soap Lake and prompt work by Segalini Electric in Ephrata brought this unit on-line in record time. 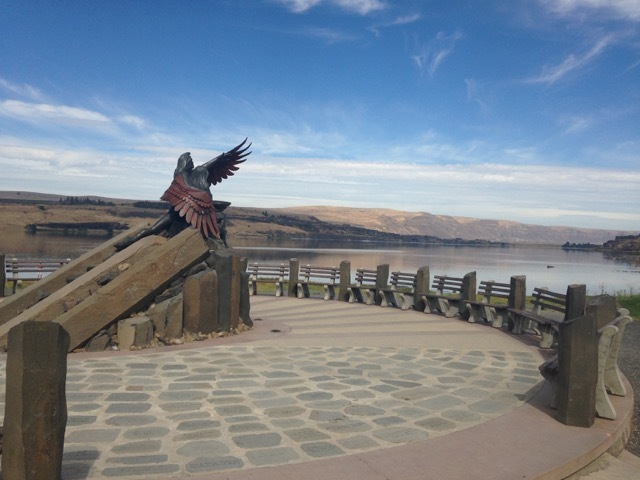 The charger is located at Smokiam Park, at the north end of town, just off Hwy 17. The Mayor is working on getting “EV charger” signs posted on Hwy 17. The pin on PlugShare is accurate. The statue/sundial there is pretty awesome! 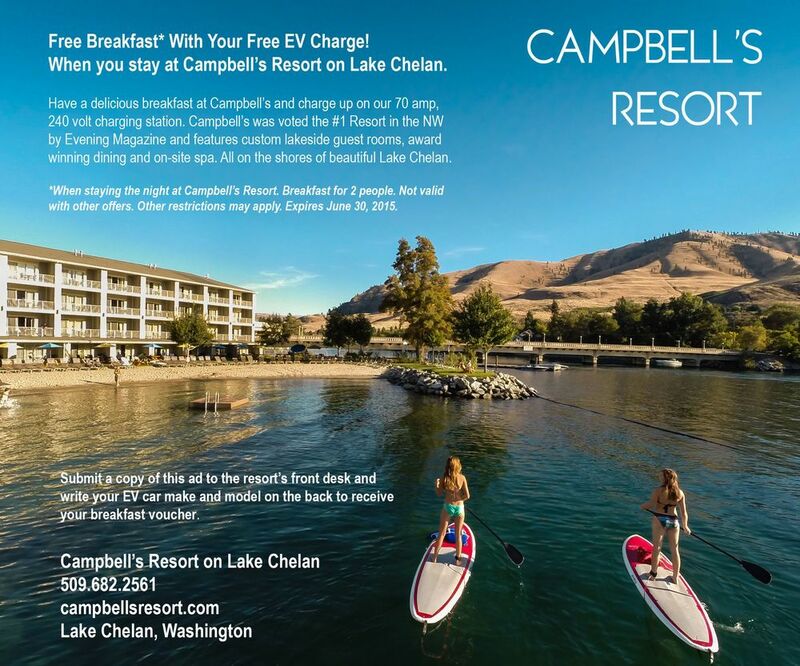 The Wenatchee Business Journal reported that the popular resort at the end of Lake Chelan is now offering the rental of Rad Power Bikes which are available from the Seattle company by direct purchase. E-Bikes or "Pedal Assist" are a growing segment of the bicycling market. These are not electric motorcycles but are bicycles that require varying levels of human effort to climb hills or gain speed. Twolocal central Washington sources of other brands of e-Bikes are Full Circle Cycle, and Cycle Central. Plug-In NCW will have the Polaris e-Bike at our National Drive Electric Week EVent on Saturday the 9th, 12 - 6PM, parking lot of Commercial Printing/Dusty's Drive In, Wenatchee. 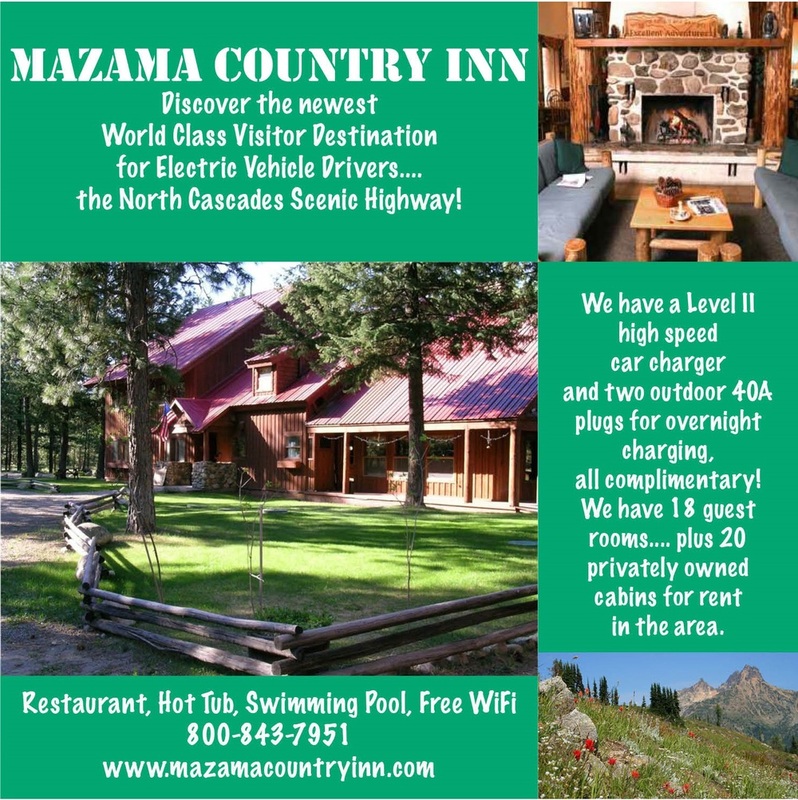 The Camaray Motel is now hosting an EV Charger supplied by a grant to Plug-In NCW from the U.S. Department of Agricutlure. It's a high amperage Level 2 (haL2) 240v, 80 amp, charger. The Camaray Motel was evaluated, along with several other sites, for the best location based on access to services like restaurants and restrooms. The charger was supplied by Plug-In NCW, with the Camaray paying for installation. For the first three years, EV owners can charge their cars for free. Randy Brooks, Charging Network Coordinator with Plug-in NCW, charging his Tesla using the new EV Charger in Oroville. Plug-In NCW had displays at both the Chelan and Leavenworth Earth Day Fairs, to educate attendees about the benefits of electric vehicles and available local charging stations. The Chelan Earth Day Fair was held Saturday, April 15th, at Chelan Riverwalk Park. An estimated 1,500 people attended. Plug-In NCW organized the vehicle exhibit, which included three Teslas, including a Model X; three Leafs, including a 2017 with a dealer rep; a Zero electric motorcycle; a Polaris electric bicycle; a lithium powered Polaris Ranger EV UTV; a Green Machine lithium ion powered commercial lawn mower; a GEM used by Lake Chelan Sailing Association as a launch vehicle for small sailboats used by sailing students; and a small sailboat with a Torqueedo electric outboard auxiliary motor; and numerous battery powered yard tools. The Leavenworth Earth Day Fair was held Sunday, April 23rd, at Lions Club Park in Leavenworth. Plug-In NCW again organized the vehicle exhibit, which included two Tesla Model S’s; three Nissan Leafs, including a 2017 with a dealer rep; a Kia Soul EV; a lithium powered Polaris Ranger EV UTV; a Polaris e-bike, and numerous battery powered yard tools. Plug-In NCW members Jack & Charlene Anderson and Randy & Anne Brooks also participated in the silent auction, offering chauffeured rides in their Tesla Model S’s. Proceeds from the silent auction go to local environmental organizations, including Plug-In NCW this year. The successful bidder was a group of ladies who plan a “girls afternoon out” with both Teslas taking them from Leavenworth to Chelan for a wine tasting tour. Charlene and Anne will drive!